Word-of-mouth is key! 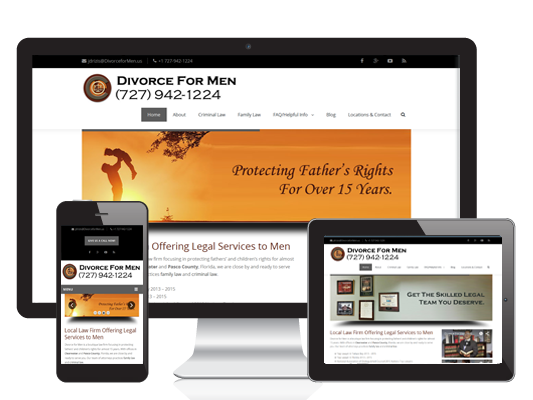 We’ve built a good amount of websites for attorneys, and they must be pretty happy with the results, because a lot of their peers and colleagues have come to us to redesign their old websites, thanks to their recommendations. Such is the case for this Clearwater Florida law firm. They had an existing website that was very out-dated, was not mobile-friendly, and on top of that they were paying around $500 a month for it! Wow…. we really are a good deal 😉 Enter DaBiri Desigs – we built a responsive new website, using the latest techniques that will ensure that their website will display and function properly on all mobile devices and is fully configured for SEO. With the ability to post blogs, they’ll be able to keep their visitors well-informed as well as help rank higher in Google search results.